What’s more heart-warming than settling in to a comfy couch for a cozy chat with a good friend? How about something potentially lifesaving? That’s what the Red Couch Tour, presented by the American Heart Association and Ellis Medicine, is – a potential lifesaver. The Red Couch Tour launched today, Wednesday, Feb. 22, at 1:30 p.m. in Robb Alley at the GE Theater in Proctors. The tour is an opportunity for women to unite to share their stories of living with heart disease and stroke, and learn how to prevent the No. 1 killer of women in America, heart disease. The Red Couch Tour also aims to change the statistic that only 17 % of women realize that heart disease is their No.1 health threat. Dr. Nawab shared information about heart disease and stroke in women. 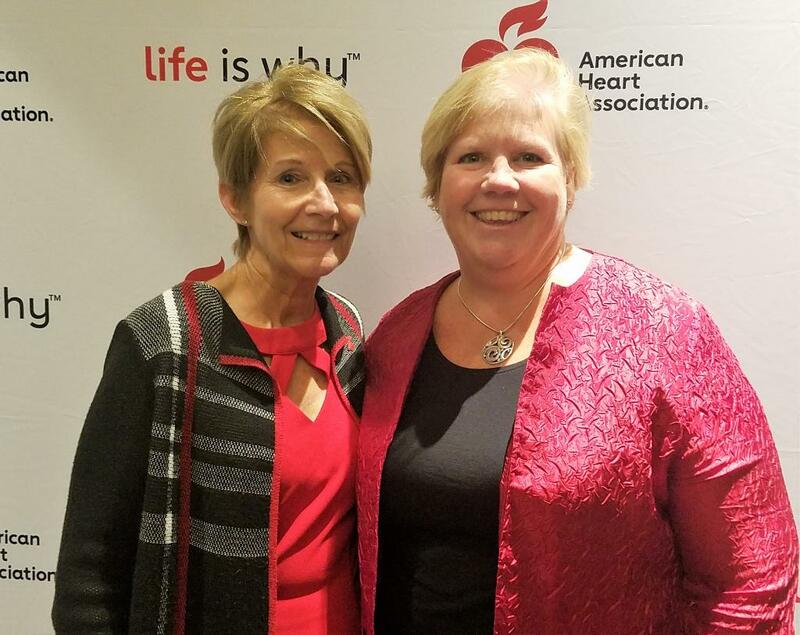 Five women affected by heart disease and stroke shared their stories: Leilah Constable; Paula Symanski; Dr. Joy Lucas; Theresa Petrone Butts; and Leah Slocum. The Red Couch Tour will travel to three more locations before concluding at the Go Red for Women Luncheon in May, where a video compilation of The Red Couch Tour stops will be shown. Huck Finn’s Warehouse has donated the couch to be used in The Red Couch Tour. The American Heart Association today proudly announced a groundbreaking collaboration with Albany Medical Center aimed at improving the heart health of the Capital Region. During 2017, Albany Med will join forces with the American Heart Association to promote “Life is Why,” the Heart Association’s national campaign designed to help individuals make small changes in their lifestyle that will result in healthier, happier and longer lives. 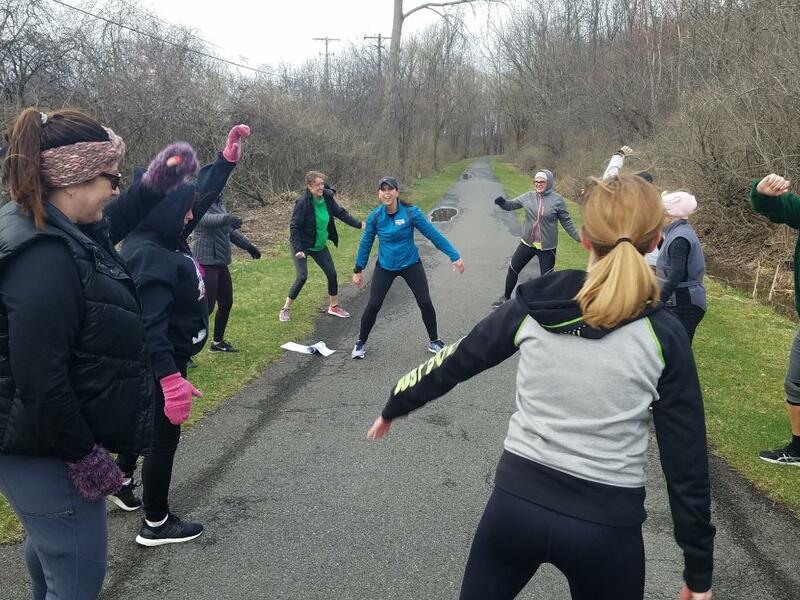 It emphasizes a personal connection to cardiac health by encouraging everyone of all ages, ethnicities and backgrounds to consider what or who they are living for, and turn that into their personal motivation for making change. As “Life is Why” unfolds in the coming year, Albany Med and the American Heart Association will focus on opportunities to educate the entire community about ways to prevent heart disease for themselves and their families. “Albany Medical Center has a longstanding relationship with the American Heart Association as we both work to combat heart attack and stroke and to find better treatments and ways to prevent heart disease. With our physicians and clinical teams recognized for delivering exceptional cardiac care and our scientists exploring the causes and potential improvements in treatment for cardiovascular diseases, combined with the Heart Association’s nationally recognized educational work and research, we believe we stand in a unique place to impact heart health in the Capital Region. Albany Medical Center is very pleased to be working with the American Heart Association as part of the first-ever ‘Life is Why’ campaign in the Capital Region,” said Vincent Verdile, M.D., The Lynne and Mark Groban, M.D., ’67, Distinguished Dean of Albany Medical College and Albany Med senior executive vice president for system care delivery. Heart disease is the number-one killer of both men and women in the United States. However, 80 percent of heart disease and stroke-related illnesses are preventable by knowing your numbers and making heart-healthy lifestyle changes, such as becoming more active and eating healthier. Albany Med will help educate Capital Region residents about the American Heart Association’s “Life’s Simple 7” campaign, highlighting the seven risk factors for heart disease and stroke: smoking, weight management, cholesterol, high blood pressure, blood glucose, nutrition and physical activity. Also, as part of the collaboration, Albany Med will serve as the premier sponsor for American Heart Association signature events, including the Capital Region Heart Ball, Go Red For Women Luncheon and the Capital Region Heart Walk & Run. Albany Med and the American Heart Association will provide Hands-Only CPR® education and training in three area high schools and will place blood pressure machines in the community. “With the support of ‘Life Is Why’ from Albany Medical Center, we will take a giant step forward in improving the health of the entire Capital Region,” said John Guastella, executive director of the American Heart Association in Albany. “Albany Med’s focus on cardiovascular care and brain health supports our mission of building healthier lives, free of cardiovascular diseases and stroke. Every year, our national and affiliate-based volunteer peer-review research committees award funding to Albany Med biomedical researchers. Learn more about “Life is Why” at www.heart.org/lifeiswhy. Albany Medical Center, northeastern New York’s only academic health sciences center, is one of the largest private employers in the Capital Region. It incorporates the 734-bed Albany Medical Center Hospital, which offers the widest range of medical and surgical services in the region, and the Albany Medical College, which trains the next generation of doctors, scientists and other health care professionals, and includes a biomedical research enterprise and the region’s largest physician practice with more than 450 doctors. Albany Medical Center works with dozens of community partners to improve the region’s health and quality of life. For more information: www.amc.edu or www.facebook.com/albanymedicalcenter. Shannon James shares her experiences as the mother of a child born with a congenital heart defect. It was a July night eight and a half years ago, that my husband and I were thrust into the world of congenital heart disease. I had just given birth to our first born, a little boy named Jack. We spent those first few hours getting to know him and sharing him with family. As night approached my nurse (whom I now consider my angel nurse) persuaded us to send Jack to the nursery so we could rest. Within 15 minutes all chaos erupted in my room. All they could tell us was our beautiful baby boy was completely blue and they were doing everything they could to save his life. At 11:15 on the night I gave birth, a pediatric cardiologist walked into my hospital room and told us that Jack was critically ill and would only survive if he had open heart surgery in the first week of his life. In that moment, it was as if the world stopped moving. The emotional pain I felt was beyond anything I had ever experienced before. How could I have gone nine months with this perfect little boy inside of me and have no idea how sick he truly was? At just five days old we handed Jack over to his surgeon. It was the hardest day of my life. I spent most of the day praying, making deals with God about how I promised to live my life if he gave me my little boy back. Jack did amazingly well and was discharged from the hospital just eight days after his surgery. It wasn’t until Jack was in the hospital that I learned 1 in every 100 babies born have some form of heart disease. Today Jack is a healthy eight-year-old. He plays premier soccer, travel baseball and gymnastics – in other words he’s always on the move. As Jack lay on the table at his cardiologist’s office last week having an echocardiogram, I was reminded how far my strong boy has come. After everything we have been through, I can honestly say I wouldn’t change it for the world. It brought us closer together as a family and allowed us to meet so many amazing families that share similar stories to ours. I’ve learned not to sweat the small stuff and try to live everyday as if it’s a gift. A few years ago, we had the privilege to be part of passing the Pulse Ox Law in New York State. I hope that we can continue to push forward in the world of research for congenital heart disease because 1 in 100 is just too high! The Heart Princess of the 2016 Capital Region Heart Walk, Eliana, was born in the fall of 2008. Here’s her story, told from her perspective. I had been growing in my mommy’s tummy just fine until I was 20 weeks gestation when all of a sudden my mom had to keep going for ultrasound appointments. The doctors could see something was wrong with my heart but didn’t know exactly what it was until my Mom went to the pediatric cardiologist. My Mom had to lay very still while Dr. Spooner examined my heart. That day I could hear the doctor explain to my mommy & daddy that I had four congenital heart defects. I could feel my mom crying and knew that this was serious. I overheard the doctor tell my parents that it would be best for me to be born full term and to have a regular delivery. I planned on staying inside until the full 40 weeks. That day was the first time I decided I was going to be a fighter. Next I heard my parents talking to Dr. Devejian about how he was going to fix my heart when I was 2 days old. There were lots of doctors appointments and I could hear the plan unfold about my open heart surgery with more details each time. I think I get my fighting spirit from my Dad. My Dad decided that I needed a name that would have great meaning. After searching names, he found a Hebrew name that meant My God Has Answered. My name would be Eliana. On October 19th, 2008 it was time for me to meet my Daddy, Mommy, big sister and brother. I was born with a crowd of nurses and doctors all surrounding me. My diagnosis of Aortic Interruption, Ventricular Septal Defect, Atrial Septal Defect, and Bicuspid Aortic Valve were all confirmed. It was time to climb the mountain before me. But I didn’t have to face any of it alone. Down the hall in the waiting room there were all my grandparents, aunts & uncles, friends and my pastors from my church. So many people were praying for ME, Eliana. God was going to answer their prayers and use Dr. Devejian and the team at Albany Medical Center to save my life. I weighed 5 lbs 15 oz when I was 2 days old and rolled into the operating room. I don’t remember much except for sleeping peacefully for the next eight hours. When I woke up a couple days later I was attached to lots of tubes and wires. I looked up and looked right at my mommy & daddy. There was relief in their eyes! Today I am 8 years old, I still get my heart checked every so often. I still have one defect that may eventually need to be fixed. But in the meantime, nothing is slowing me down. I’m in 2nd grade and take acrobatic dance. I love life! I keep up with my big sis & bro, I roller blade, swim, and ride my bike. God has great plans for me and I intend to do each and everything He has planned. I hold tight to my name, Eliana, because God Has Answered! Patrick was born prematurely at 32 weeks. We were told he would just need to learn to eat and breathe on his own and then he could go home. Two days later the news came that they heard something abnormal and called in the cardiologist. At that time the nurse said we would need to meet with them in the morning to discuss what they found. Three hours later, the NICU attending doctor stood with us telling us what he could about Patrick so we had some idea what was coming in the morning. The cardiologist had a picture of a normal heart and marked all the abnormalities that they knew at the time and explained them. He told us they were going to try and get Patrick to grow as much as possible to give him the best chances of surviving his first surgery. A little over two weeks later we walked through our front door for the first time as a family. At 2 1/2 months we found out what Congestive Heart Failure meant in a child. We were in the hospital for 4.5 months out of the first 7 months of Patrick’s life. When we weren’t at the hospital we were either at the pediatrician’s office, cardiologist or calling them to give updates. A week before his first Christmas, I asked the cardiologist if he was going to make it, a question no one wants to ask but I just had to. He said they would do everything that they could. Patrick had his second surgery at 6 months. The doctors wanted him to be bigger before surgery but he was struggling so much to survive they again said they couldn’t wait any longer. A week and a half later they discovered they needed to go back in for another surgery. The night before his third surgery he was struggling to breathe so much that the hospital bed was shaking to the point that we were leaning on it to try to keep it still. We stayed awake all night praying he would make it to have the surgery. Two and a half weeks later we went home. At Patrick’s one year “well-child” visit, his pediatrician said there were a few times they weren’t sure he would make it to that day. Patrick had his fourth surgery at 4 years old. At that time because of the medicine he is on we had to give him shots twice a day for a few days before and after surgery to transition him back to his medicine. He looked like a pin cushion by the time we were done because each spot bruised. At one point after surgery I asked what leg he wanted the shot. His response, “Mommy’s.” I told him I would if I could. If all goes well he will only need one or two more surgeries. He has now been diagnosed with atrial fibrillation. My heart skips a beat when the caller ID shows the school calling. Every time Patrick says his chest hurts or something just doesn’t feel right, the thoughts immediately turn to, is it his heart? The cut on his knee that we told him was ok and just needed a few days to heal wound up sending us to the hospital for a week. It got infected, spread quickly, required IV antibiotics and triggered his atrial fibrillation. Every cut and bruise needs to be watched, “just in case.” He has to take antibiotics in order to go to the dentist. He takes medication daily and tests his blood either weekly or biweekly, depending on the results. We put our hope and faith in the doctors and nurses that have taken care of him on his journey so far. Our families and friends have helped us get through some tough times. Patrick has made me a stronger person. My mom has told me about what I was like when I was born. I was born with a heart defect where I had a large hole in my heart and both my main arteries pumped blood from the same chamber. This means my oxygenated and de-oxygenated blood would get all mixed together and my heart had to work really hard to get enough oxygen to the rest of my body. My mom says I was really, really skinny and had failure to thrive. She said she had a mission to feed me 17 ounces of formula a day. This was hard because eating took a lot of energy and I would fall back to sleep after only a small amount. Also, the medicine I was on sometimes made me sick and I would throw up what I ate. But I know my mom and I know she never gave up. I don’t remember my first open-heart surgery. I was only 5 months old. I was in the hospital for 8 days afterward. The doctors told my mom that they fixed my heart defect but there was a small chance I would develop a complication called subaortic stenosis. Exactly 12 months later I had my second open-heart surgery to clear out the passageway to my aorta from the subaortic stenosis. I think I can remember bits and pieces of my second open-heart surgery when I was 17 months old. I developed subaortic stenosis again but this time it took years to get bad enough to need surgery again. I remember what it was like before the surgery. It was hard to breathe. I couldn’t run much and had to sit down a lot when my other friends were playing. My lips and fingernails would turn blue. I had my third open-heart surgery at 6 years old and I remember everything. I was terrified. I remember when my doctor told me I needed open-heart surgery and I didn’t believe him. I asked my mom if it was a joke. I knew they were going to cut me open with a knife. I remember when I laid down on the operation table and they gave me the mask to put me to sleep. I knew what was going to happen and I didn’t think I was going to live through it. And the next thing I remember is when I woke up. I remember how supportive my community was. Family, friends, doctors and teachers would visit me. My whole class made me get well cards and gave things for me to play with while I recovered. I’ve grown from my surgeries. I am able to breathe better and be active. I only have to go to the cardiologist once a year now and do not have to take any medications. My doctors say my heart looks very good. I’m growing really well and I’m already 5’7”. I feel more confident with my defect. It’s part of me. I am still a little afraid that someday my heart may stop working. I deal with that fear by talking about with my family. I realize I have really good doctors who I trust. They have always taken care of me. I try to live a normal life. The American Heart Association has helped me see that I am not alone. It has shown me that there are other kids just like me who have gone through a similar experience. This group of kids is called the Cardiac Kids. They make me feel more accepted. The American Heart Association has also helped me see that I can help other kids who are like me and help them feel supported. Participating in American Heart Association functions make me feel like I am giving back to the association and am part of a community. Hi, my name is Grace Green. I’m 14, from Latham, and I was born with a congenital heart defect. My heart defect is called “TOF” – Tetralogy of Fallot – which none of my family knew about until 2 weeks after I was born. My memaw thought I was breathing funny which at first they thought was just a heart murmur. I would turn blue around the lips & my family always thought after that I’d look blue. One day about 2 months old I started turning blue and could not breathe. I ended up in the ER. After seeing my cardiologist, my family was told I had a heart defect. I was later told that by 6 months, I would have open heart surgery. At 6 months I had surgery. My family was scared I wasn’t going to make it through surgery! The doctors kept coming out every couple of hours to let them know what was going on. After surgery was done, the doctor told my family that I had survived! My family was happy. And now I get checked once a year & will eventually need a valve replacement when the doctor feels I need it. Here I am today, well and happy and living freely with almost no restrictions! Because I was born with this, I now know what’s it’s like to go through it and I can help other kids just like me to get though it too! This helped me in being a role model. I even created a Cardiac Teen Group for my Silver Award for Girl Scouts. I enjoy showing that there is a possibility of getting through it, you just got to believe! You can make it through if you stay strong and have hope for the future! I would like to send a thank you out to my family, friends, Dr Kamenir, my cardiologist, Dr Devejian, my surgeon, and my American Heart Association family for all you have done for me with your love and support, without which I may not be here today with you! This is my story and this is why I spread Congenital Heart Defect and Heart Disease Awareness…..
On Day Two of Congenital Heart Defect Awareness Week, Bill and Amy Galvin share some thoughts about their son Ryan. Ryan was diagnosed with a congenital heart defect even before he was born. Through the research the AHA has funded over the years, Ryan’s doctors have the expertise to have been able to provide an early diagnosis that has helped Ryan to manage his CHD. His pediatric cardiologist continues to monitor him and address some issues that have occurred. Ryan and his journey with CHD are why we raise awareness about congenital heart defects. Ryan has been chosen by AHA to be the 2017 Heart Hero for the Capital Region Heart Walk. Join Ryan in promoting Congenital Heart Defect week, and join him at the Heart Walk on June 3rd at SUNY Albany. Jennifer Corcoran Conway shares her story of being the mother of a child born with a congenital heart defect, 5-year-old Aedan. Your baby has a congenital heart defect called Hypoplastic Left Heart Syndrome, and if he doesn’t have open heart surgery in his first week of life, he will die. These are the words that stopped my world spinning on its axis and flipped it on its head. Two weeks prior, at my 18-week growth ultrasound, my OB/GYN told me that she couldn’t see all four chambers of his heart, and wanted a specialist to do a fetal echocardiogram and take a closer look. It only took him about five minutes to change our world forever. In my 20th week of pregnancy, my son was diagnosed in utero with Hypoplastic Left Heart Syndrome, an extremely rare congenital heart defect, in which the left ventricle does not develop, or does not develop properly, leaving only one functioning ventricle, or a three chambered heart. Colloquially, people say that he has “half a heart.” But nothing could be further from the truth. Prior to his diagnosis, I had no idea what a congenital heart defect was. I learned that congenital heart defects are the number one birth defect in children – 1 in 100 babies is born with a congenital heart defect. I also learned that we don’t really know what causes them. That didn’t stop me from questioning everything I had done or didn’t do prior to, and during, my pregnancy. The doctor always told me it wasn’t my fault, and in my head I accepted that, but I don’t think my heart ever did. His first open heart surgery was at four days old – so tiny on that big gurney, with tubes and wires running everywhere. I didn’t get to hold him until he was 12 days old. His second open heart surgery was at six months old. A different kind of hard because we knew him now and had to watch the questions and pain in his eyes, and not be able to really explain to him what was going on. His third, and, God willing, last, open heart surgery was just after his second birthday. This time he could tell us he hurt and ask us questions that we still couldn’t fully answer for him. By the age of 2, Aedan had gone through three open heart surgeries and three cardiac catheterizations. I had handed him off to his doctors six times, never knowing if he would come back to me alive. The oldest survivors with his defect are only in their mid-thirties, so we honestly do not know what his future holds. But through this journey I have learned so much. The true meaning of gratitude. The real value in a second, minute or hour. We revel in every new accomplishment, as we know the next one is not promised to us. Every holiday, every milestone, is never taken for granted – every day with him was, and is, truly a gift and a miracle. Every day we learn the true meaning of the words miracle, thankful and blessed. And through my son’s strength I found a strength in myself. A refusal to give up or give in, and a resolve to persevere – not for me, but for him and others like him. In his short life, Aedan has lobbied for passage of the Pulse Ox Law in New York, raises awareness and funds for research, development and treatment of congenital heart defects, and brings joy and a smile to every single person he meets. I am in awe every day of his strength and his will to live. He is truly my inspiration, and every day, my Hero. The American Heart Association announces that Steven Frisch, M.D., senior executive vice president for the Integrated Delivery System at Albany Medical Center; Angelo Calbone, president and CEO of Saratoga Hospital; and Jay Cahalan, president and CEO of Columbia Memorial Health, will receive the Donald Led Duke Heart Hero Award at the Capital Region Heart Ball on Feb. 25 at the Hall of Springs in Saratoga Springs. Frisch, Calbone and Cahalan have worked to bring Albany Medical Center, Saratoga Hospital and Columbia Memorial Health together to improve the medical care offered in the Capital Region.